Too Much Cultivation? Is That Even Possible? Given that above all successful fundraising is about relationships, I can’t think that you could spend too much time involving your prospect or donor with your organization. To my way of thinking, cultivation must be ongoing, consistent, frequent. Sometimes that cultivation is call stewardship—the things you do after you’ve gotten a gift. But in truth, it’s as much about pulling a person closer so he or she remains involved. Think proactive (looking forward to future actions), not reactive (looking to the past). That’s the problem with thinking of fundraising in discrete steps. First I do “A”, then we move to “B”. Instead, picture interlocking circles where prospecting meets cultivation, which works in tandem with stewardship, and they are all part of solicitation. Which brings me to my next soapbox: Too often people treat “The Ask” as if it is this special (and scary) act, standing alone like an island rising up from a body of water. 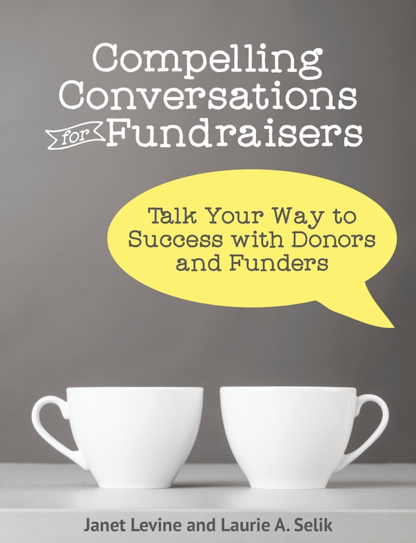 In fact, fundraising should consist of many asks. Is this something you care about? Do you see yourself as part of our organization? How was the experience of giving? What do you think of our new….? Who else do you know who might also be interested? Would you be willing to host…? In other words, cultivation is a way for to get to know each other—and to build a strong and ongoing relationship. In the US more than 60% of all donors never make a second gift to an organization Of those that do, 30% each year thereafter stop making a gift. Too much cultivation? No, I think the right question is: Why aren’t we cultivating our donors more? This entry was posted in cultivation, development, fundraising and tagged cultivation, development, Goal-setting. Bookmark the permalink.